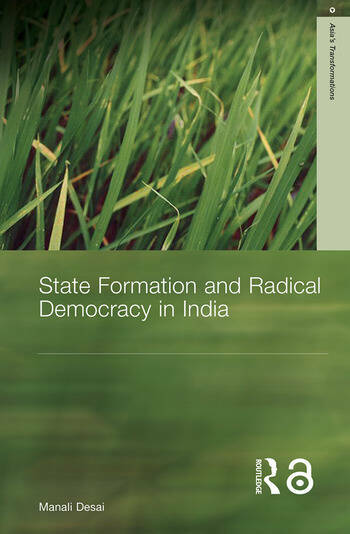 State Formation and Radical Democracy in India analyzes one of the most important cases of developmental change in the twentieth century, namely, Kerala in southern India and begs the question of whether insurgency among the marginalized poor can use formal representative democracy to create better life chances. Going back to pre-independence, colonial India, Manali Desai takes a long historical view of Kerala and compares it with the state of West Bengal, which like Kerala has been ruled by leftists but has not had the same degree of success in raising equal access to welfare, literacy, and basic subsistence. This comparison brings the role of left party formation and its mode of insertion in civil society to the fore, raising the question of what kinds of parties can effect the most substantive anti-poverty reforms within a vibrant democracy. This book offers a new, historically based explanation for Kerala’s post-independence political and economic direction.